ISEC Healthcare topped the list with returns of 7.8%. 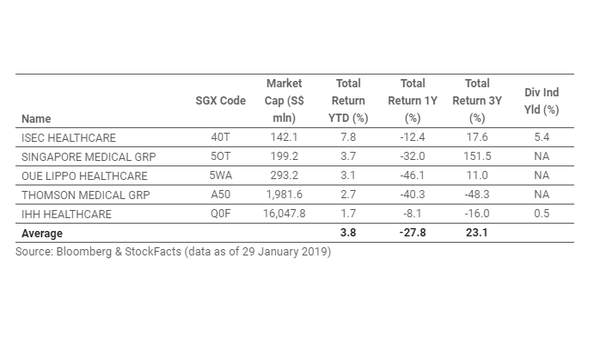 This chart from the Singapore Exchange (SGX) shows that the top five largest and best-performing healthcare stocks saw average returns of 3.8% YTD in January. ISEC Healthcare topped the list with returns of 7.8% YTD. It was followed by Singapore Medical Group, OUE Lippo Healthcare, Thomson Medical Group, and IHH Healthcare with returns of 3.8%, 3.1%, 2.7%, and 1.7% respectively. “This brings their one-year and three-year total returns to -27.8% and +23.1% respectively,” SGX said. The performance of Singapore's listed healthcare sector is measured by the iEdge SG All Healthcare Index which is made up of 31 stocks. The healthcare sector's strong performance has even outpaced that of the benchmark STI as the former generated 7.6% in YTD total returns compared to the STI's 3.9%. 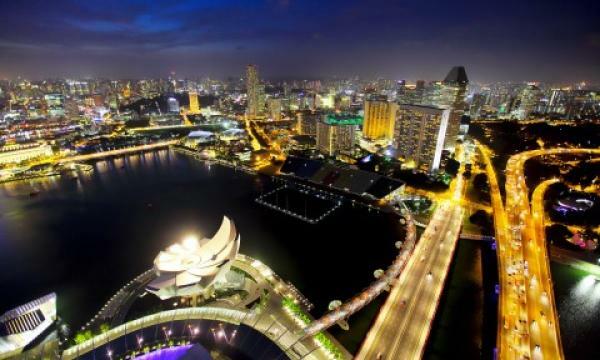 "Singapore’s healthcare sector is typically viewed as a defensive segment, poised to enjoy multi-year growth prospects. Drivers of Asia’s increased healthcare spending levels include accelerated ageing rates, the rise of lifestyle diseases like diabetes and hypertension, as well as growing disposable incomes," added SGX Research. SGX noted that the majority of Singapore’s healthcare service providers have pursued international expansion plans in recent years, with operations and assets spanning multiple geographies outside the citystate. Considering this, investors can participate in the structural Asian healthcare theme through these companies.